The Ballon d’Or rankings at the halfway mark make for very interesting reading. According to Eric Mamruth, who is a journalist for RFI, the top three has Luka Modric as number one, Raphael Varane is in second and his fellow World Cup winner Kylian Mbappe completes the trio after a breathtaking year at club and international level. At the moment, Modric is the favourite to scoop a second individual gong after winning the FIFA’s Best Men’s Player award back in September. He then followed that up by captaining Croatia to the World Cup final for the first time in their history – deservedly winning the Golden Ball for the tournament thanks to his incredible displays in the middle of the park. At a ceremony in London, Modric was handed the prize from FIFA president Gianni Infantino and gave a superb speech – congratulating both Salah and Ronaldo, thanking his teammates from both club and country, his family and all those who voted for him. 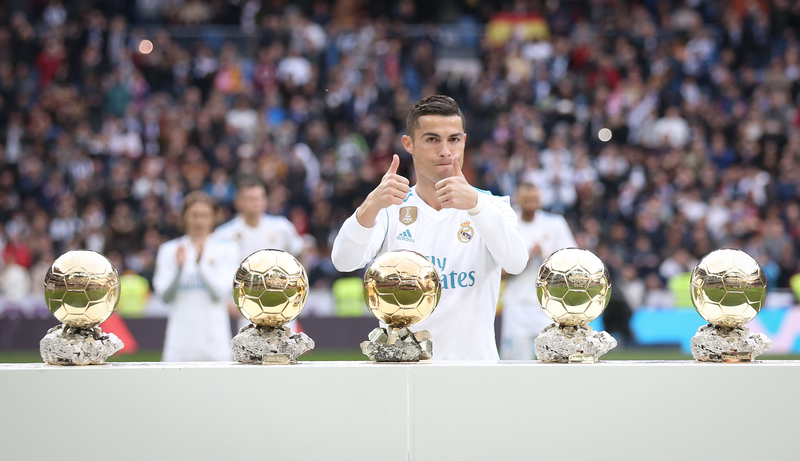 He became the first player not named Messi or Ronaldo to win a prestigious individual award in the last 10 years and is in a good place to end the dynamic duo’s dominance when it comes to the Ballon d’Or. So as it stands, it does look as though neither Messi or Ronaldo will be in the final three after their disappointing World Cup campaigns – though it could well change once the remainder of the votes are counted. The winner of the 2018 Ballon d’Or will be announced in Paris on December 3. Do you agree with the rumoured final three?